This is the theme that I have chosen for this year's basket. Since we are traveling to Walt Disney World later this year, I decided to purchase items that Michael could use for our flight down there and back. Since this is a very broad theme, anything from Disney, Pixar, Star Wars, and Marvel could go into this basket. Here are some items that I have purchased for this themed basket. Tsum Tsum plush mini - Michael loves them. So, I bought several characters that he doesn't have. Since he's also getting into Star Wars, I got him a few of them as well. Tsum Tsum mystery packs - You actually can't go wrong with blind packs. They even have a mystery Easter pack of which I think I bought a few for Michael's basket. PJ Masks action figures - Michael loves PJ Masks and for Christmas my sister-in-law bought him the headquarters play set. Well, it's no fun without the villains so, I bought the figure sets that had them. Now he can truly play PJ Masks. Lion Guard mystery packs - We watch the Lion Guard on Disney Junior and I thought that these blind packs might get him excited about going to the Animal Kingdom. I could go on with the other items, but I think you get the idea of what I bought for this year's basket. I also bought some Easter items as well as candy. What kid doesn't love LEGO?!? I actually did buy a little Star Wars LEGO set for Michael's basket this year. Like the above Disney theme, this is another broad theme. You could go Star Wars, Super Heros, LEGO City, Speed Champions, Disney, DC Super Heros, and the list goes on and on. So, you've decided on doing LEGO, but how do you put those boxes in an Easter basket? Last year we had purchased the LEGO Speed Champions Chevrolet Corvette Z06. We opened the large bag and then put the different pieces into different size plastic eggs. We kept the smaller bag with the smaller pieces together. Some of the larger parts we put in a larger egg along with the instructions. Since the "Easter Bunny" hides eggs throughout the house, this was a simple way of filling eggs without using candy. Here's another idea with the LEGO theme. You could buy a smaller set like the LEGO Batman Movie The Joker Balloon Escape and a larger set like the LEGO Batman Movie The Batmobile. Put the Joker Balloon Escape set together and place in the basket. Then put all the pieces for the Batmobile in plastic eggs. Some other items to add to the basket would be LEGO blind packs, LEGO books, LEGO coloring books, LEGO DVDs, and so much more. I've done some of the elements in this theme. Basically this basket will encourage playing outside during the remainder of Spring and throughout the Summer. Another rather broad theme, but a rather fun one in the end. Here are some items I've purchased in the past. Kites - Michael has gotten several kites in his Easter baskets in the past. We take them with us when we go to the beach and fly them since there seems to always be a good breeze there. Bubbles - What kid doesn't love blowing bubbles?!? You can go with small bubble wands to bubble machines. Pool Toys - We're lucky enough to live in a community that has a pool. Michael loves the toys that he's gotten in his basket whenever he's playing in the pool. 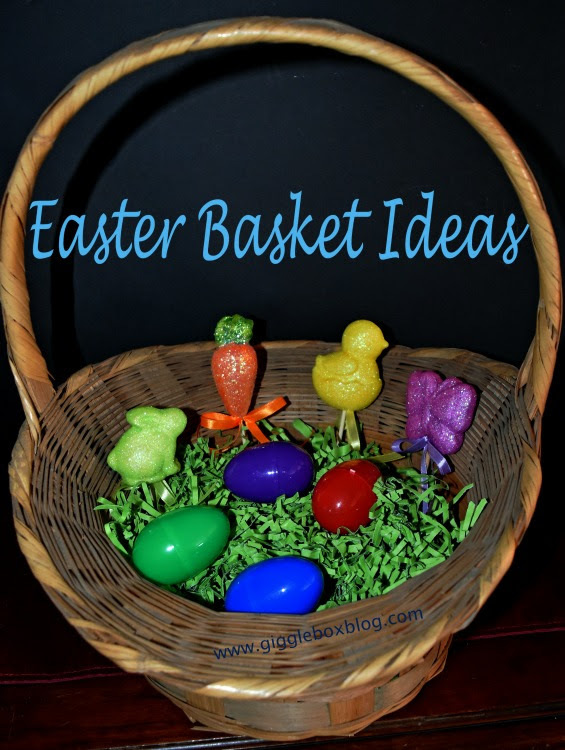 So many rather inexpensive items for this basket and will be loved by any kid. You could also add any of the larger items I've suggested in my post 15+ Outdoor Toy Gift Ideas. There are so many great shows out there and nowadays there always seems to be items to go with it. One of my favorite TV shows off of Disney Junior is Sophia the First. If I was a kid, here's some items I could maybe see in my basket. Dress up items - what little girl doesn't like to dress up like a princess? Man, I can't wait to have a little girl and buy all this cute stuff. So many princess items out there, you could even do just a princess theme if you have a little girl. Just like the favorite TV show theme, you can always find stuff for the latest movies to come out in the theaters. Some of our recent favorite movies are Moana and Trolls. There's even a Trolls shop on Amazon. There's also a lot of great items for that Moana lover in the family. Hope this helps you out with figuring out what to put in that Easter basket. If you have a baby, check out my post Baby's First Easter for what we put in Michael's first basket and some other great ideas. Have a kid that loves playing board games? I've got a post about some awesome board games the whole family will love to play, 20+ Board Game Gift Ideas. A few years ago I broke down what was in Michael's basket and even talked about the deals that I got on the items, Easter 2014. Proof that you don't have to break the bank to have a great basket. If you don't have the time to make a themed basket, Amazon has some great premade themed Easter baskets to purchase. What are some fun items you've put in the kid's Easter baskets or that you received in yours when you were a kid?